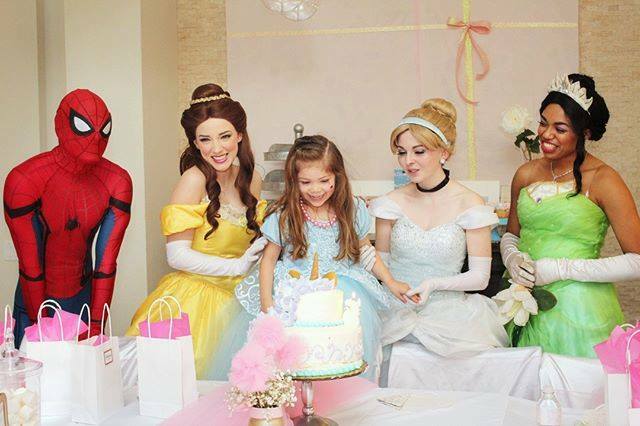 Ready to book your princess party or themed birthday? We just need a little more information. Please fill out the form below. A girly-girl representative will contact you as soon as possible to discuss the details of your event. Kindly note, we are typically out and about at parties on Fridays, Saturdays and Sundays. We will respond to your inquiry as soon as we can. If we have availability for the date and package you’re interested in, we will send you a link to access our contract. A contract and deposit must then be received within 24 hours to finalize a booking. We require a digital contract and non-refundable deposit ($75 for character visits and $200 for party planning packages) to hold a date. Prior to submitting, please take a moment to read through our TERMS & CONDITIONS. Thank you for choosing Girly-Girl Partea’s! We look forward to making your child’s party SPECTACULAR! Give us 24 hours to respond to your inquiry. Once we have reviewed your request and checked to ensure staff and character availability, we will send you a link to our digital contract. You then have 24 hours to fill out and submit the contract and pay the non refundable deposit to hold your date. If you have any questions or concerns, please email us.